"In short, Mertens has got a considerable advantage on service numbers, and a slight edge on return, and my model priced her at [1.40] to make it through to the fourth round." It was so near, yet so far, for our selection on Thursday, as the heavy underdog Marketa Vondrousova was so close to a win over Caroline Garcia, losing 8-6 in the final set. Possibly the turning point was the Czech 18 year old squandering 15-40 on the Frenchwoman's serve at 4-4 in the deciding set, but such a performance showed that my assessment of the price being an insult to Vondrousova was correct. Good value losers are sometimes part of this game, and this match was certainly one of these. Of the eight matches on Friday, only two feature heavy favourites. Tournament favourite, Elina Svitolina, is a virtual shoo-in to get the better of 15 year old Ukrainian, Marta Kostyuk, while one of our outright picks, Caroline Wozniacki, is correctly priced at [1.22] to progress at the expense of Kiki Bertens. In the early matches on Friday morning, Denisa Allertova and Luksika Kumkhum - who has exhibited quite an improvement in recent months - are marginal favourites over Magda Linette and Petra Martic respectively, and my model agreed with these market prices. Subsequently, Elise Mertens takes on Alize Cornet, and Kateryna Bondarenko faces Magdalena Rybarikova, and my model made the former duo - Mertens and Bondarenko - value. However, I'm much less happy about recommending Bondarenko, given that Rybarikova should enjoy the quicker conditions more, and I'll be happier taking on the over-rated Slovak when conditions slow in future months. Therefore, tomorrow's recommendation is Elise Mertens, with the Belgian talent a [1.55] favourite to dispose of Alize Cornet after what can only be described as a stunning comeback to knock out Daria Gavrilova on Wednesday, winning 7-5 6-3 from 0-5 down in the opening set. 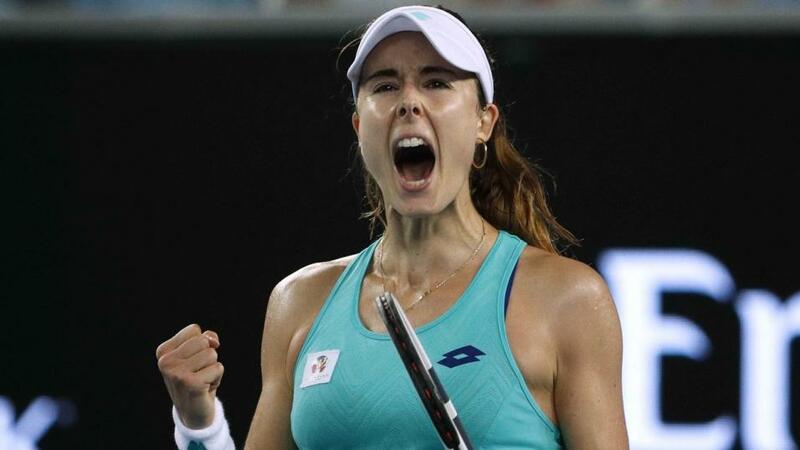 Credit should certainly go to Mertens for keeping her head together at that stage - a compliment that can rarely be paid to Cornet - and in what is likely to be a match with a fair few service breaks, my numbers favour Mertens. In short, Mertens has got a considerable advantage on service numbers, and a slight edge on return, and my model priced her at [1.40] to make it through to the fourth round. Taking the 8/11 with the Sportsbook on her giving up 2.5 games on the handicap looks a decent spot. In the later matches on the schedule, Kaia Kanepi is a solid [1.49] favourite to continue her resurgence at the hands of Carla Suarez Navarro, while Jelena Ostapenko is marginally preferred by the market over Anett Kontaveit. Both players are highly rated young talents, but are considerably better on clay, and Ostapenko in particular is unlikely to favour the medium-fast conditions on display at Melbourne Park.